Acquiring a high-profile transfer isn’t necessarily a prerequisite for every Final Four contender, but a look at the rosters of AP Top 25 teams sure makes it seem that way. Four of the top five teams in the preseason poll are counting on contributions from at least one transfer. Reigning national champion Villanova also should get a boost from a transfer. Perhaps the most notable example is No. 1 Kansas , which added Dedric Lawson and K.J. Lawson from Memphis and also brought in former California guard Charlie Moore. All three players sat out last season due to NCAA transfer rules. 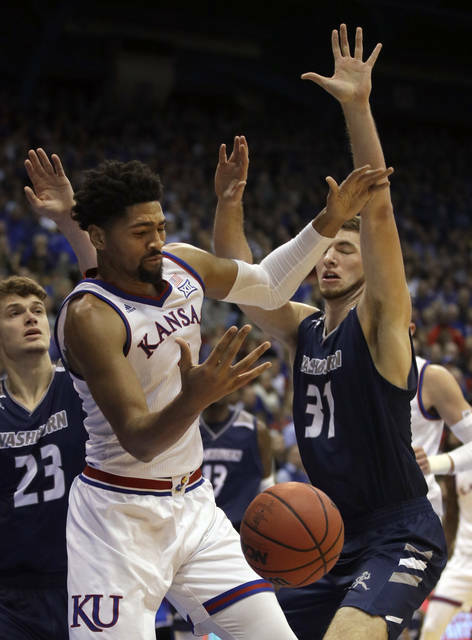 Big 12 coaches have selected Dedric Lawson as the conference’s preseason newcomer of the year. No. 2 Kentucky has Stanford graduate transfer Reid Travis . No. 3 Gonzaga has added Geno Crandall from North Dakota and Brandon Clarke from San Jose State. No. 5 Virginia expects a boost from former Alabama guard Braxton Key. Villanova , ranked ninth, should get some instant offense from Albany graduate transfer Joe Cremo. Here’s a closer look at some transfers who figure to make a major impact on the 2018-19 college basketball season. Height/Class: Clarke: 6-foot-8/Jr. Crandall: 6-3/Sr. Former schools: Clarke: San Jose State. Crandall: North Dakota. Crandall is a graduate transfer who earned second-team all-Big Sky honors for North Dakota each of the last two seasons. Clarke joins Gonzaga’s team this year after sitting out the 2017-18 season. Crandall averaged 15.5 points as a sophomore and 16.6 points as a junior. He also led the Big Sky in steals (2.1) and ranked seventh in assists (3.6) last season. Clarke averaged 17.3 points, 8.7 rebounds, 2.6 blocks and 2.3 assists to earn first-team all-Mountain West honors for San Jose State in 2016-17. Clarke had 18 points and 11 rebounds in just 16 minutes as Gonzaga defeated Central Washington in a preseason exhibition. Crandall had 8 points, four rebounds, four assists and three steals in that game. Villanova loses four NBA draft picks from last season’s national championship team but adds some firepower by luring this graduate transfer from Albany. Cremo scored 1,469 points in three seasons at Albany and was a first-team all-America East selection last year. He averaged 17.8 points and shot 45.8 percent from 3-point range (76 of 166) in his junior season to help Albany go 22-10. He averaged 15.8 points as a sophomore. Heron received an NCAA waiver enabling him to play for St. John’s immediately rather than sitting out a year. He missed a preseason exhibition Thursday due to a concussion. Heron helped Auburn win a share of the Southeastern Conference regular-season title last year as he averaged 16.4 points and 5.3 rebounds while earning second-team Associated Press all-SEC honors . He ranked sixth in the SEC in scoring. Heron had 15.2 points and 6.1 rebounds per game as a freshman. Key received a waiver from the NCAA that allows the Alabama transfer to play for Virginia immediately rather than sitting out a season. Key led Alabama with 12 points per game and also averaged 5.7 rebounds and 2.5 assists as a freshman in 2016-17 before his production dipped last year. Key had 7 points, 5.3 rebounds and 1.1 steals per game in 2017-18 after a knee injury caused him to miss the first 10 games of the season. 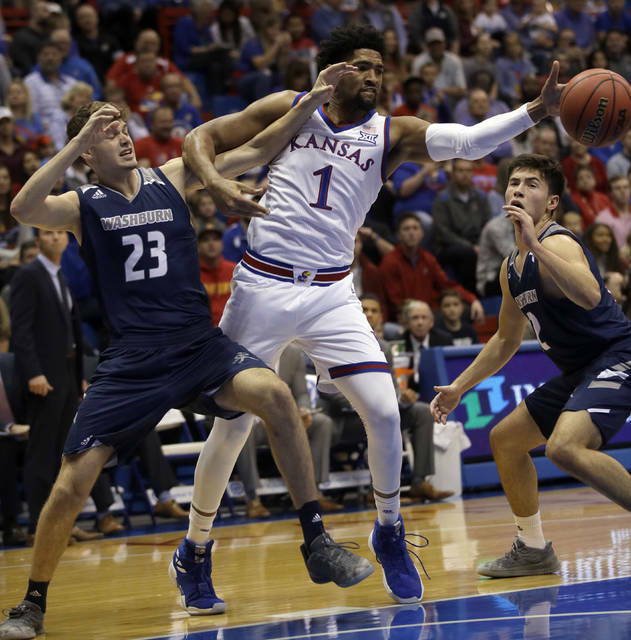 Height/Class: Dedric Lawson: 6-9/Jr. K.J. Lawson: 6-8/Soph. Moore: 5-11/Soph. Former school: Dedric and K.J. Lawson: Memphis. Moore: California. The Lawson brothers and Moore will start playing for Kansas this year after sitting out the 2017-18 season. Dedric Lawson ranked second in the American Athletic Conference in scoring (19.2) and led the conference in rebounding (9.9) two seasons ago to earn first-team all-conference honors. 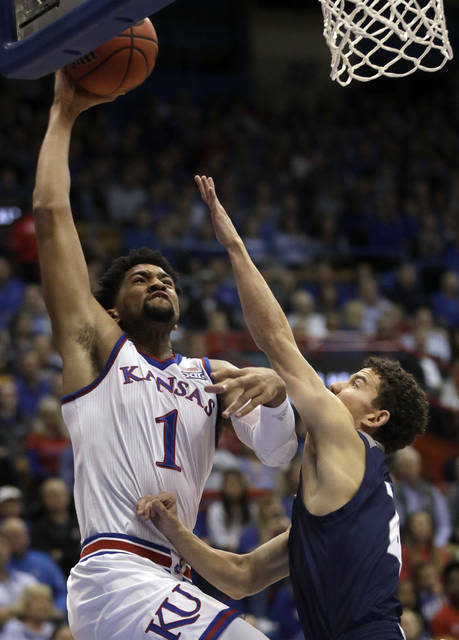 He averaged 24.5 points and 10.5 rebounds for Kansas in two preseason exhibition games. K.J. Lawson ranked third in the American in rebounds (8.1) and also had 12.3 points per game for Memphis two seasons ago. Moore averaged 12.2 points and had a team-high 120 total assists his lone season at California. Travis was a first-team all-Pac-12 performer at Stanford each of the last two seasons. Travis ranked third in the Pac-12 in scoring (19.5) and rebounding (8.7) last season. He had 17.4 points and 8.9 rebounds per game two seasons ago. Travis averaged 10.9 points and 10.3 rebounds in Kentucky’s four-game summer exhibition tour of the Bahamas.